Known as the "Land of Fire and Ice." Iceland is a unique country with unrivaled natural beauty and is quickly becoming one of the most popular destinations in Europe. Shaped by the forces of nature and relative geographic isolation, Icelandic culture is known for a strong sense of tradition. Unwind in the serence spa experience of the Blue Lagoon, uncover the explosive geyser hot springs and chase the awe inspirig Northern Lights. Hike through Thingvellir National Park: tour Reykjavik, the festive and energized capital city: and admire the splendor of Lake Myvatn. The breathtaking landscapes are some of the most dramatic in the world but Iceland is more than its never ending photo opportunities: the welcoming locals, unique cuisine and world famous nightlife can't go unmentioned. ​From thundering waterfalls to exploding geysers, Iceland is a land of unrivaled natural beauty. Visit some of the country's best-known sites including the capital of Reykjavik and the Golden Circle. 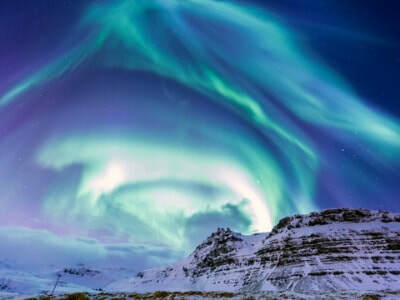 You'll also have the chance to see the stunning Northern Lights! Iceland’s land and culture were forged by fire and ice – creating a place of dramatic contrasts; where steaming lava fields reflect a volcanic nature and where massive glaciers sculpt mountains and valleys, leaving thundering waterfalls and plunging fjords. Reykjavík – the northernmost capital of the world – also embodies these bold contrasts: it is both cosmopolitan and small-town; vibrant and sophisticated; young-at-heart and yet full of history. With top-class restaurants and cuisine, unique culture, sparkling nightlife and amazing attractions within easy reach, Reykjavik has it all. Your vacation includes a full-day guided tour of the must-see “Golden Circle” – made up of the Geysir geothermal field, Gullfoss Waterfall, and UNESCO World Heritage-listed Thingvellir National Park – and a guided evening tour to hunt for the Northern Lights – the spectacular natural phenomenon also known as Aurora Borealis. In addition you’ll have a full, free day to enjoy Reykjavik’s famous natural offerings, arts and culture, renowned dining, local designer shopping, health and wellness facilities, and/or exciting nightlife! Known as the Land of Fire and Ice, Iceland is a bucket list destination every traveler has to see. See Iceland’s most popular attraction, the Golden Circle, a UNESCO National Park of Geological Wonders. 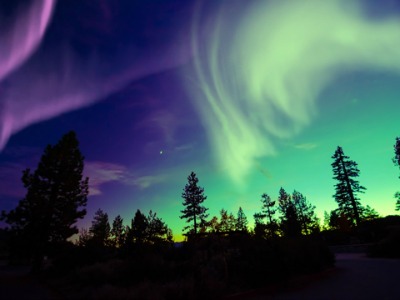 Experience the Northern Lights - a spectacular natural phenomenon that only takes place during winter months. Reykjavík is cosmopolitan and small-town; vibrant and sophisticated; young-at-heart and yet full of history. During your exploration of Iceland you’ll see a range of landscapes from thundering waterfalls to exploding geysers! *Vacation is round-trip, based on 2 travelers. Includes transfers, hotels, breakfast daily, tours, sightseeing and breakfast daily. Additional baggage charges may apply. Rates are available for 1 to 9 travelers. Rates are date sensitive, call for rates today. Soak in the Blue Lagoon They say nature is the best medicine...find out for yourself on this 3-night getaway in Iceland. Soak in the mineral-rich waters of the Blue Lagoon, located just outside of Reykjavik, and the Laugarvatn Fontana Geothermal Baths. Experience "the big three" the country's greatest landmarks on the guided Golden Circle tour. Relaxation, natural phenomena and culture in a refreshing and healthy break that makes the most of Iceland's gifts. Rejuvenate in the warm pools and natural steam baths at Fontana Geothermal Baths. You'll be ideally located in the vibrant city of Reykjavik. Take a trip to the Blue Lagoon, world-famous for its mineral-rich waters and set in the beauty of a black lava field. Visit Reykjavík, a city of bold contrasts: cosmopolitan and small-town yet vibrant and sophisticated. Enjoy the perfect balance of scheduled activities with free time. Your full-day guided Golden Circle tour brings you to 3 of the country’s incredible “must-see” sites! Bathe in the peaceful mineral-rich geothermal waters of the renowned Fontana Baths. 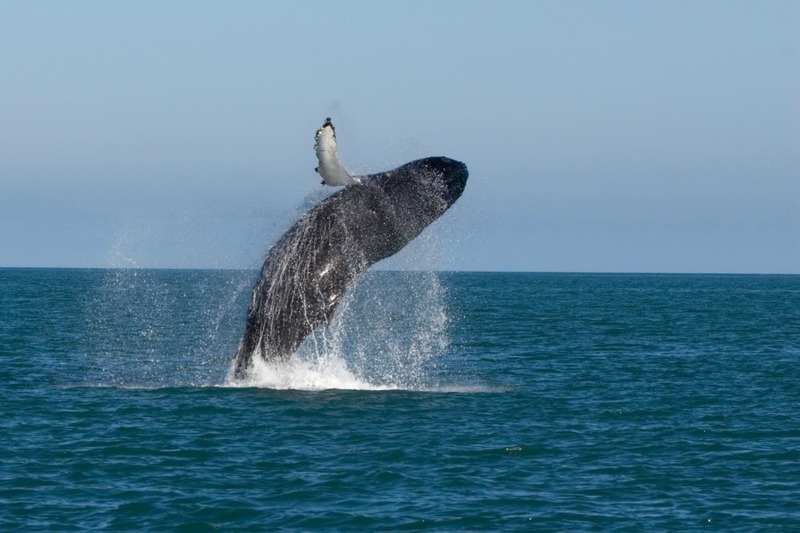 Take part in an unforgettable Whale Watching adventure at sea. From your base in Iceland's quirky capital, go on a day excursion to the Golden Circle and get up close to orcas, humpback whales and more! Enjoy the exciting city of Reykjavik, with the ideal combination of scheduled activities and free time to explore on your own! Reykjavik, the northernmost capital of the world, boasts a wide array of exciting activities and attractions. Reykjavik is pure, clean and vibrant -- creating the perfect settings for a relaxing yet refreshing vacation. Dominated by a range of majestic mountains to the east and divided by one of the country's best salmon rivers, the city of Reykjavík is a tempting attraction for anyone who loves to combine a lively city experience with the wholesome sights and sounds of nature. Your first stop is at the Fontana Geothermal Baths, where you can enjoy relaxing in the warm geothermal waters and even a tasting of delicious treats. You’ll enjoy a guided full-day Golden Circle Classic tour, highlighting three of Iceland’s most incredible and iconic attraction – Thingvellir National Park (a UNESCO World Heritage Site), the majestic Gullfoss Waterfall, and the famous Geysir geothermal area. You’ll also take part in an unforgettable whale watching experience, observing these extraordinary animals and various sea birds in their own environment, with commentary and stories from expert guides. The whales in this area are not shy, and the viewing success is 90% - however if you don’t see any, you’ll get to repeat the tour on another day, for free! ​In between, you can create your own personalized experience to include as much of the city’s famous natural offerings, arts and culture, renowned dining, local designer shopping, health and wellness facilities, and exciting nightlife as you’d like! Iceland has one main road: Route 1, also known as Ring Road. On this 7-night vacation, embark on a self-drive adventure through the beautiful natural wonders and charming towns of Iceland's Ring Road. This vacation has been carefully crafted for a great independent travel experience. This isn’t a bus, group, or tour guide vacation but one where you can set your own pace of discovery every day. However, you’re not alone – if you need any help during your trip, we’ re just a phone call or an email away. Drive along the South Shore and admire the Seljalandsfoss Waterfall and the black sand beaches around Vik. This extremely popular classic circle self-drive vacation gives you the opportunity to visit all of Iceland’s main attractions, in eight days and seven nights! 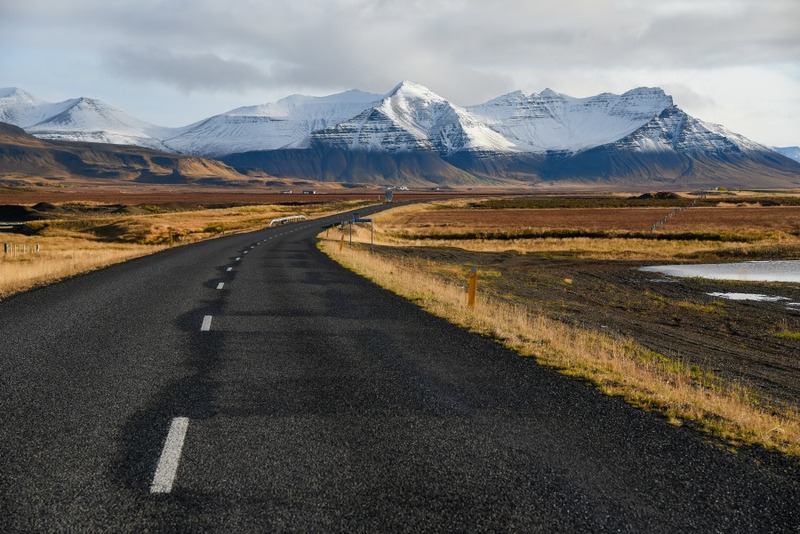 The Ring Road is an 800-mile national route that connects most of the major towns, with many of Iceland’s most popular tourist sites along (or near) the way. *Please note that this car rental is based on seven 24-hour rental days, starting at the time of rental. If your flight arrives early on day 1 and departs late on day 8, an additional supplement will be necessary unless you choose to return the car in Reykjavik when the 6 day rental is up, and use a departure shuttle transfer instead. ​*Must be 23 years of age to rent a car. SIM card worth ISK 2000: 50 minutes of local calls + 300 MB of data. (Standard, Micro and Nano cards available. Please check with your service provider to make sure that your phone is unlocked before arrival in Iceland). ​*Please note that this car rental is based on seven 24-hour rental days, starting at the time of rental. If your flight arrives early on day 1 and departs late on day 7, an additional supplement will be necessary unless you choose to return the car in Reykjavik when the 6 day rental is up, and use a departure shuttle transfer instead. 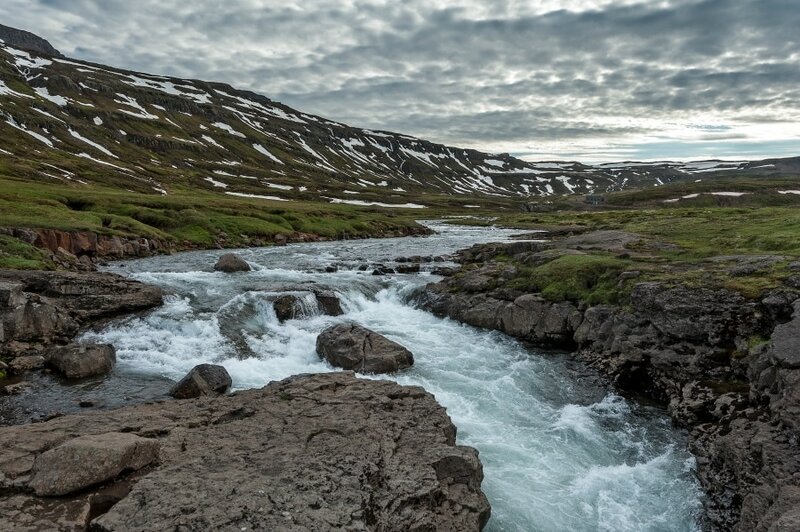 This Icelandic adventure gives you everything you’ll need- a rental car, SIM card, and GPS. Drive the rugged coastline of the East Fjords with their towering mountains and charming fishing villages. Explore the Thingvellir National Park, a UNESCO World Heritage Site. Enjoy accommodations in Hveragerdi, Vik, Hofn, Reykjavik and more. Insider Tip: The Ring Road around Iceland is 830 miles filled with majestic lava fields and snow capped mountains. Grab a couple of friends and take the ultimate road trip! ​Let us customize your holiday to Iceland!